http://edgplancollection.com/?x=viagra-drug-test follow url For a LIMITED TIME. We want to give your company Custom Alcohol Interlocks for FREE. follow url Driving under the influence of alcohol is one of the biggest threats to road users all over the world, and for businesses with road transportation at the heart of their operations, compliance with local regulations regarding drunk driving is a responsibility that simply cannot be ignored. 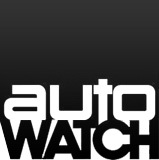 here Since their first introduction to the market in 2003, Autowatch Breathalok products have been at the cutting edge of tethered and wireless alcohol ignition breathalyzer systems to help keep your vehicles, your staff members, and other road users safe. 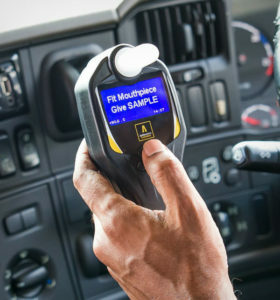 In the years since then, the car breathalyzer ignition (formally Interlock) systems have become an indispensable tool in the prevention of intoxication whilst driving. These systems are vital against ‘drink driving’ in both commercial and correctional contexts around the globe. 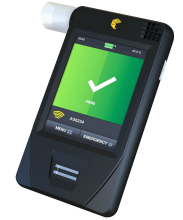 From North America and Europe to South Africa and the United Kingdom, you will find Autowatch Breathalok products in any setting where adherence to an alcohol-free policy is required. http://wphls.org/?x=viagra-tablets-mail-order-uk Manufactured to the highest standard of quality, Autowatch Breathalok products meet all relevant industry benchmarks and certifications. http://activeplaytherapies.com/?x=generic-viagra-tablets Designed as a risk analysis tool for fleet and freight companies, this model is known for its reliability and is used by transport businesses and offender DUI programs worldwide. It offers an all-encompassing fleet solution when combined with Autowatch Video Telematics solution, which provides near-to-real time video surveillance with up to four cameras, secure control through the alcohol ignition Breathalok, and advanced fleet management functionalities. Prompts for driver change and random samples. The system is configurable to integrate with fleet management systems, such as the Autowatch Video Fleet Telematics solution. In the unlikely event of a technical failure, an emergency override PIN code can be issued by the control centre. All features are programmable to meet customers’, market and judiciary requirements. find best price canadian viagra buy online The 740 Wireless Alcohol Breathalyser is the latest product to be included under the Autowatch Breathalok brand. Compact, touch-screen enabled, and with a biometric system, this unit is the first of its kind, perfectly suited for niche markets where a strict alcohol-free standard is required.